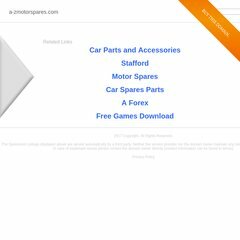 A-zmotorspares.com's server IP number is 213.171.218.9. Its 2 nameservers are ns1.streamlinedns.co.uk, and ns2.streamlinedns.co.uk. PING www. (213.171.218.9) 56(84) bytes of data. A ping to the server is timed at 176 ms.